This 365-day-project is finally completed. Yesterday, book of Profesi Hukum Itu Asyik! was officially launched at Faculty of Law UI, Depok. We invited several high schools in Jakarta and Depok, and also law students who are still 'galau' in deciding their future career to attend the launching. Since the duration is limited so I only chosed 6 (six) contributors (including me) from total 36 to represent these 25 legal profession. Those contributors consist of a supreme court judge, a diplomat, an in-house-lawyer at KPK, a head hunter, a lecturer and me as a lawyer a.k.a editor a.k.a pekerja serabutan. I am so touched to see how enthusiastic these highschoolers in asking the questions regarding their future careers. Some of the questions are so deep, these kids zaman now are really awesome. 1. How did you feel when you decide a death penalty to the defendant? 2. If I want to be a diplomat, where should I study, at Faculty of Law or FISIP? 3. Referring to inhouse-lawyer at KPK, you said it's very hard to work at KPK, full of pressure and terror, but how come did you work there for more than 10 years? 4. If I want to go to law school however I also want to have my own business, which career path should I choose? See...these millennials never stop amaze me. 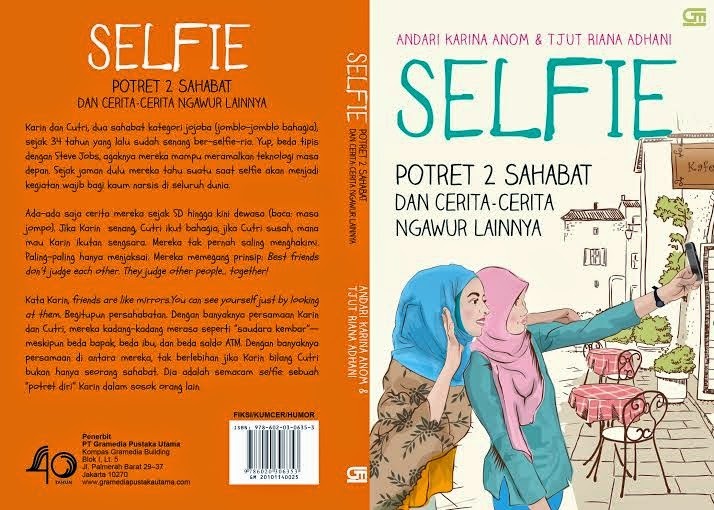 There will be another book launching on 2 November at Gunung Agung Senayan City at 2pm -4 pm. Be there!!! You need to be an adrenaline junkie when you travel with kids. "Let's try the roller coaster," the girls screamed while seeing the fasterst, longest roller coaster in South Korea and also the second talest wooden roller coaster in the world. While I stepped aside and calmed down my heartbeat, duh...Gusti. As of 2001, Nami Island focused its activities on nature, arts, and culture. Many events took place here, mostly related to painting, writing, and illustration. Nami Island also collaborates with Unesco and Unicef in order to turn this island into a child-friendly area. From Nami Island, we took taxi to go to Petite France (actually there's a bus to go there but the girls were already tired so we chose taxi instead). This miniature of Paris is dedicated to Saint Exupery, the writer of the legendary Little Prince story. Every parts of the area is well crafted. You can just take pictures everywere. Almost all places are awesomely beautiful. If you're not into photo session, no worries, this place is completed with Saint Exupery museum, painting gallery, puppet show, marionette dance, and merchandise shop that is full with stuff of Little Prince. If you're a huge fan of Little Prince, this place will make you super happy. they will remember the time you spent with them.